If you want to head out onto the open roads of the UK on two wheels then the first thing you’ll want to do is take your CBT test in Wandsworth. 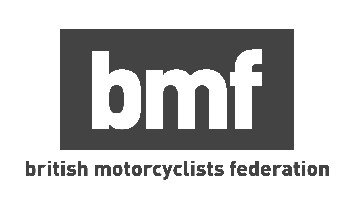 CBT stands for Compulsory Basic Training and it’s the most basic level of training that is required for you to legally ride on the UK’s roads on two wheels with L-plates. It may be commonly known as the CBT test, but there’s no test involved, and you won’t need to take any lessons..
You can take your CBT test in Wandsworth from the age of 16, provided you hold a full or provisional UK licence, and have a valid UK passport. At 16-years-old you’ll be allowed to ride a motorcycle or scooter upto 50cc with a top speed of 30mph. If you’re 17 and above, you’ll be allowed to ride anything upto 125cc with a maximum power output of 11kW. When you take your CBT test in Wandsworth you’ll have the choice of riding a manual motorcycle or an automatic ‘twist ‘n’ go’ scooter. Unlike your car test, you will not be limited to an automatic scooter if this is what you choose for your CBT test in Wandsworth, but we suggest using whatever type of machine you’re likely to be using on the road - there’s no point learning how to ride a manual motorcycle when you only plan on riding a scooter. Automatic scooters are easier to ride for beginners due to the lack of a clutch and manual gearbox, but they can be a little harder to control during slow speed maneuvering, and they don’t offer the same level of control as a manual motorcycle. If you’re not sure whether you want to ride an automatic scooter or manual motorcycle, check out our list of the top motorcycles and scooters for commuting, and see which one you like the look of most! Is There a CBT Test Centre in Wandsworth? There are currently several CBT training centres located around Wandsworth. The closest training centre is Off the Kerb Motorcycle Training, who are based in Shepherd Bush. Despite being based close to the centre of London they have a large off-road training area, and the local roads are relatively quiet. If you prefer to stay south of the river, Ipass are located just a short walk from Richmond station, and boast a sheltered training ground, changing rooms, and even an on-site cafe. Ipass are MCIAC Approved, which means they provide some of the best motorcycle training available in the UK. To the south east of Wandsworth, Phoenix Motorcycle Training are based in Crystal Palace, just a short walk from Crystal Palace station. Phoenix have been around for a long time, and they’re actually the first school in the UK to receive the MCIAC Gold Standard - which means they offer the very best training available. There are also plenty of CBT training centres further from Wandsworth, in Sutton, Hounslow, Wembley and Lewisham.